Azure Event Hubs and Service Bus VNET Service Endpoints in public preview - Azure Event Hubs and Service Bus joins the growing list of Azure services enabled for Virtual Network Service Endpoints. Virtual Network (VNet) service endpoints extend your virtual network private address space and the identity of your VNet to the Azure services, over a direct connection. Endpoints allow you to secure your critical Azure service resources to only your virtual networks. Traffic from your VNet to the Azure service always remains on the Microsoft Azure backbone network. IP filtering for Event Hubs and Service Bus - IP Filter rules are now available in public preview for Service Bus Premium and Event Hubs Standard and Dedicated price plans. For scenarios in which you want Service Bus or Azure Event Hubs to only be accessible from certain well-known sites, IP filter rules enable you to configure when to reject or accept traffic originating from specific IPv4 addresses. New Azure #CosmosDB Explorer now in public preview - Azure Cosmos DB Explorer (https://cosmos.azure.com) is a full-screen, standalone web-based version of the Azure Cosmos DB Data Explorer found in the Azure portal, which provides a rich and unified developer experience for inserting, querying, and managing Azure Cosmos DB data. Microsoft Azure launches tamper-proof Azure Immutable Blob Storage for financial services - Financial institutions can now store and retain data in a non-erasable and non-rewritable format – and at no additional cost. Available in public preview, Azure Immutable Blob Storage meets the relevant storage requirements of several key financial industry regulations. Microsoft retained a leading independent assessment firm that specializes in records management and information governance, Cohasset Associates, to evaluate Azure Immutable Blob Storage and its compliance with requirements specific to the financial services industry, which is available from this post. Azure Databricks provides the best Apache Spark™-based analytics solution for data scientists and engineers - This post announced the general availability of RStudio integration with Azure Databricks, and four additional regions – UK South, UK West, Australia East, and Australia South East. Azure Databricks is an Apache Spark-based analytics platform optimized for the Microsoft Azure cloud services platform. Designed with the founders of Apache Spark, Databricks is integrated with Azure to provide one-click setup, streamlined workflows, and an interactive workspace that enables collaboration between data scientists, data engineers, and business analysts. Azure Databricks integrates with RStudio Server, the popular integrated development environment (IDE) for R. There’s also webinar coming up next month (Thursday, August 2) on Making R-Based Analytics Easier and More Scalable. Azure Search – Announcing the general availability of synonyms - Synonyms in Azure Search enable it to associate equivalent terms that implicitly expand the scope of a query, without the user having to provide the alternate terms. In Azure Search, synonym support is based on synonym maps that you define and upload to your search service. These maps constitute an independent resource, such as indexes or data sources, and can be used by any searchable field in any index in your search service. You can add synonym maps to a service with no disruption to existing operations. Network Performance Monitor is now generally available in UK South region - Network Performance Monitor (NPM) is a suite of capabilities, each of which is geared towards monitoring the health of your network, network connectivity to your applications, and provides insights into the performance of your network. Performance Monitor, ExpressRoute Monitor, and Service Endpoint Monitor are monitoring capabilities within NPM. What’s new in Azure IoT Central - Azure IoT Central is a fully managed SaaS (software-as-a-service) solution that makes it easy to connect, monitor and manage your IoT assets at scale. Azure IoT Central simplifies the initial setup of your IoT solution and reduces the management burden, operational costs, and overhead of a typical IoT project. Since entering public preview in December, we implemented a number of new features, capabilities, and usability improvements, including: state measurement, event monitoring template, bulk device import and export, location and map services, and new account management tools. Monitor Azure Data Factory pipelines using Operations Management Suite - Azure Data Factory (ADF) integration with Azure Monitor allows you to route your data factory metrics to Operations and Management (OMS) Suite. Now, you can monitor the health of your data factory pipelines using Azure Data Factory Analytics OMS pack from the Azure Marketplace, which provides you with a summary of overall health of your Data Factory, including options to drill into details and to troubleshoot unexpected behavior patterns. Spoken Language Identification in Video Indexer - Video Indexer now includes automatic Spoken Language Identification (LID), which is based on advanced Deep Learning modeling and works best for high- to mid-quality recordings. LID currently supports eight languages including English, Chinese, French, German, Italian, Japanese, Spanish, and Russian. 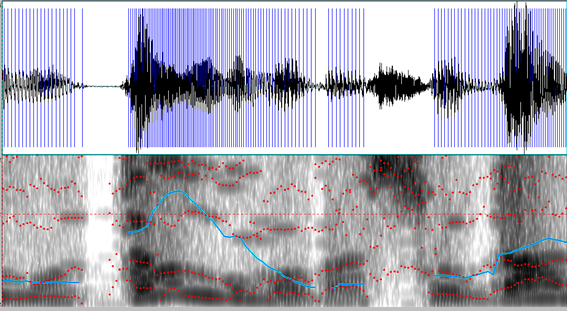 This post includes a brief description of spectrograms, which turn audio into images for detecting patterns. Securing the connection between Power BI and Azure SQL Database - Learn how to connect Power BI to Azure SQL DB in a more secure way using Virtual Networks (VNets), VNet service endpoints, virtual network rules, on-premise data gateways, and network security groups. How to use Azure Container Registry for a Multi-container Web App? - Learn how to configure Azure Container Registry with Multi-Container Web App (currently in preview), which supports the ability for you to deploy multiple Docker images to Web App for Containers using either Docker Compose or Kubernetes Config files. AI Show | Building an Intelligent Bot: Conference Buddy - Using the example of the Conference Buddy, Wilson will show you the key ingredients needed to develop an intelligent chatbot with Microsoft AI – one that helps the attendees at a conference interact with speakers in a novel way. Agile SAP development with SAP Cloud Platform on Azure - SAP Cloud Platform (SAP CP) is SAP's multi-cloud platform-as-a-service offering and is now available for production use in Azure West Europe. SAP CP offers a fully managed platform-as-a-service, operated by SAP, and is the first multi-tenant and fully managed Cloud Foundry PaaS on Azure. Learn how developers can use either the SAP CP cockpit or Cloud Foundry CLI to deploy and manage their applications and services. In addition, developers can connect to Azure Platform Services using the Meta Azure Service Broker or its future replacement, Open Service Broker for Azure. IoT Show | Provisioning IoT devices at scale - The Demo - Showing is always better than telling. Nicole Berdy joins Olivier on the IoT Show to demonstrate how the Azure IoT Hub Device Provisioning Service can be used to implement zero-touch provisioning of (a lot of) IoT devices. Lessons from big box retail - Learn how retail banks can take a lesson from big box retailers to generate curated experiences. Retailers already use Azure Machine Learning to orchestrate experiences using data collected from various touchpoints they have with their customers, which helps them to understand their shopping behaviors and provide them with engaging in-store experiences. These experiences set customer expectations from other industries, such as banking. Azure Friday | Episode 448 - Azure App Service Web Apps - Byron Tardif joins Scott Hanselman to discuss Azure App Service Web Apps, the best way to build and host web applications in the programming language of your choice without managing infrastructure. It offers auto-scaling and high availability, supports both Windows and Linux, and enables automated deployments from GitHub, Visual Studio Team Services, or any Git repo. Azure Friday | Episode 449 - Unified alerts in Azure Monitor - Kiran Madnani chats with Scott Hanselman about Azure Monitor, where you can set up alerts to monitor the metrics and log data for the entire stack across your infrastructure, application, and Azure platform. Learn about the next generation of alerts in Azure, which provides a new consolidated alerts experience in Azure Monitor. Plus, new metrics-based alerts platform that is faster and leveraged by other Azure services. Free e-book | Serverless apps: Architecture, patterns, and Azure implementation - This guide by Jeremy Likness focuses on cloud native development of applications that use serverless. The book highlights the benefits and exposes the potential drawbacks of developing serverless apps and provides a survey of serverless architectures. Many examples of how serverless can be used are illustrated along with various serverless design patterns. This guide explains the components of the Azure serverless platform and focuses specifically on implementation of serverless using Azure Functions. You'll learn about triggers and bindings as well as how to implement serverless apps that rely on state using durable functions. Finally, business examples and case studies will help provide context and a frame of reference to determine whether serverless is the right approach for your projects. A Cloud Guru | Azure This Week - 6 July 2018 - In this episode of Azure This Week, James takes a look at the public preview of static website hosting for Azure Storage and zone-redundant VPN and ExpressRoute gateways, as well as the general availability of Azure IoT Edge.